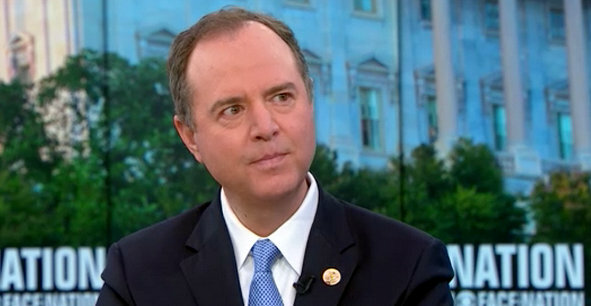 Schiff: We Already Have Direct Evidence Of Collusion - Joe.My.God. “I think there is direct evidence in the emails from the Russians through their intermediary offering dirt on Hillary Clinton as part of what is described in writing as the Russian government effort to help elect Donald Trump. They offer that dirt. There is an acceptance of that offer in writing form the president’s son, Don Jr., and there is overt acts and furtherance of that. That to me is direct evidence. But there’s also abundant circumstantial evidence.” – House Intelligence Committee chairman Adam Schiff, speaking today on Face The Nation.